protection. With Z-Cote®, transparent zinc oxide, skin is protected from the entire spectrum of damaging UVA rays, not just sunburn. 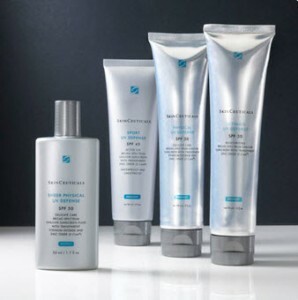 Unlike the pasty white zinc oxide sunscreens of the past, SkinCeuticals sunscreens are cosmetically elegant and use fewer sunscreen ingredients, reducing the chances of irritation.